Do you think Minecraft Wolves haven’t enought options? 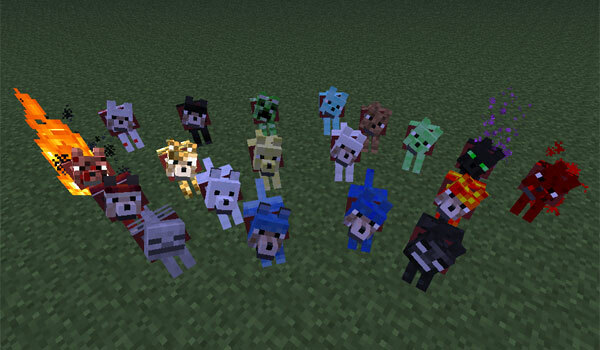 Wolves Plus 1.5.2 is a mod that adds a lot of new types of wolves to the game with new abilities and functions. To start we meet wolves of redstone, Glowstone, coal, fire, snow, lava, water, cake, diamond, iron, gold, emerald, as so as the Creeper Wolf, Ender Wolf, Wither Wolf Alpha and Wolf, among others. These new wolves have new skills such as jumping higher in higher speeds. By killing any one of them will drop various objects, including diamonds. Each “will spawn” in certain biomes. 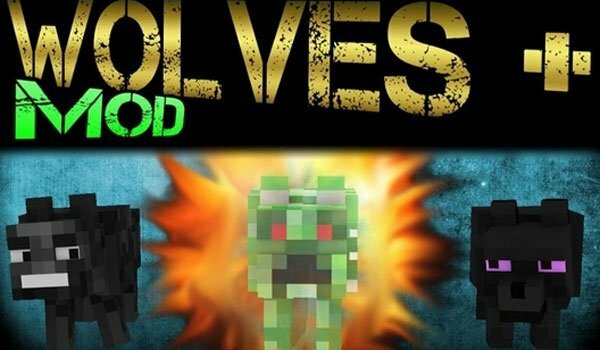 How to install Wolves Plus Mod for Minecraft 1.5.2? Paste the contents of the downloaded file, inside “minecraft.jar”. Increases the range of wolves in your Minecraft!